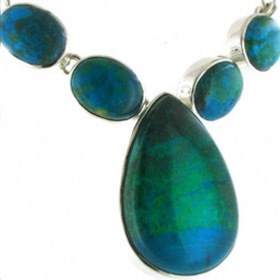 A chrysocolla necklace is a fabulous mixture of turquoise, emerald green, lime and black and mixes well with turquoise, teal and greens. To know more about chrysocolla read About Gemstones. 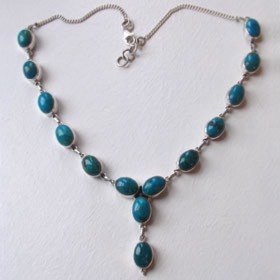 Chose a pair of chrysocolla earrings to go with your silver chrysocolla necklace. 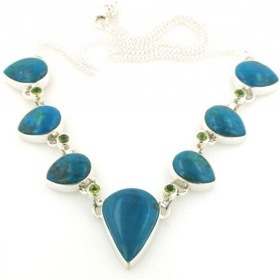 Enjoy free delivery anywhere in the UK on your chrysocolla silver necklace.